As a nation, our property development dreams have been catalysed and inspired by the well-known TV show Grand Designs. The series has become so influential in the property development sector that there is even a Grand Designs trade show taking place annually in London. We couldn’t resist getting involved and have booked a stand this year, so we hope to see plenty of you there! 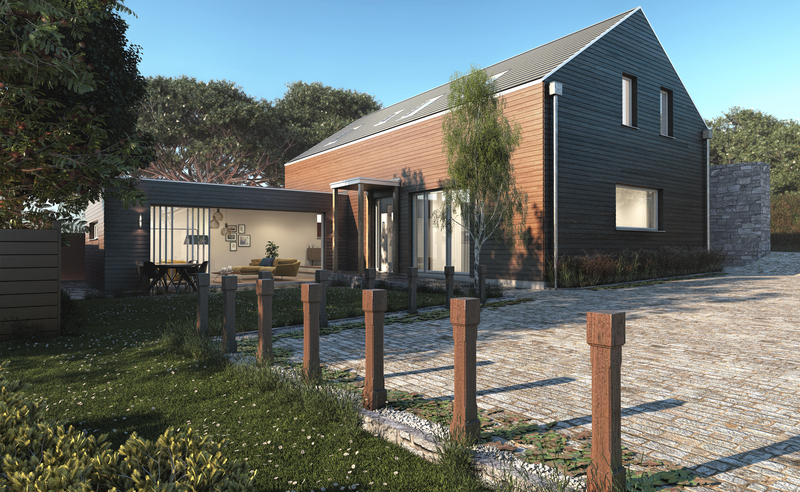 We provide 3D Architectural CGIs for numerous residential property developments, but we get particularly excited when a client comes in with a Grand Design of their own. We can just tell from the twinkle in their eye and the big grin when a client is going to present us with an epic vision to bring to life. Private property development clients will usually approach us towards the end of the design stage, when they have final drawings through from their architect and are ready to submit planning applications. A grand design incorporating cutting edge construction techniques, innovative materials and ambitious architectural forms might raise an eyebrow or two in the planning department. In this situation, 3D photo real images of a property design can make a massive difference to gaining planning approvals. Architectural CGI shows clearly how all the elements of a design work together and how they sit in their proposed environment. You can even take planners on a virtual aerial tour or walk through to really assure them that your grand design dreams are sufficiently down to earth to be practical. Architects will often work with us throughout the drafting process to present clients with a clear visual of their interpretation of the brief. On the TV show Grand Designs, it is often ordinary folk, inexperienced in architecture or construction, who come up with fantastically creative concepts without a technical understanding of how they might work. A 3D CGI image is much more accessible and comprehensible to a layperson than a 2d architectural drawing would be, and can help architects and clients understand each other. As revisions are made, bringing new evolutions of the design, both architects and clients like to see their ideas brought to virtual life to feel assured they are going to work. Few people can accurately conceptualise an image of a finished building design from a 2D architectural plan and there is major scope for misunderstanding. A 3D architectural visualisation – or a virtual reality tour for that matter – puts all the defining details of a design in plain view. We are looking forward to meeting lots of big visionaries, diggers and dreamers at the Grand Designs show and coming back with some inspiring and exciting grand designs to bring to life as CGIs. Why not drop us a line to discuss your Grand Design and see how we can help you make the dream a reality.